John A. 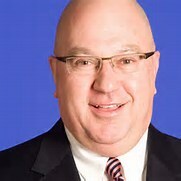 “Jack” Zduriencik is the General Manager of Major League Baseball's Seattle Mariners and has been in this role since 2009. He previously was with the Milwaukee Brewers from 1999 to 2008 and was the first Non-GM to receive the Major League Executive of the Year Award in 2007. Zduriencik began his career in professional baseball as a second baseman in the Chicago White Sox farm system. From 1973 to 1974, he spent time playing for both the Gulf Coast White Sox and the Appleton Foxes. Seattle Mariners GM Jack Zduriencik will discuss the status of the club, we learn the identity of our club’s Rotarian of the Month and hear from our student of the month. Since Jack’s arrival, the Mariners have stuck to their core belief of “building from within” the organization, and as you reach playoff contention, bring on other players that may help achieve that point. It started with signing pitcher Felix Hernandez to a long-term contract. As the Mariners improved, they signed sluggers Robinson Cano, and more recently Nelson Cruz, as well as closing pitcher Fernando Rodney, who now leads the team in single season saves. Jack mentioned improvements in hitting at catcher (Mike Zunino) and third base (Kyle Seager) and the development of some fine young pitching talent, being especially excited about Taijuan Walker. He also mentioned the addition of veteran pitcher J.A. Happ who he hopes will fill in one spot in the rotation. Jack discussed the Mariners’ new baseball academy in the Dominican Republic, which will allow the team to develop players from this country. The Mariners have three of the game’s most popular players from the Dominican Republic; Robison Cano, Nelson Cruz and Fernando Rodney. The Mariners’ organization is proud they had 4 players selected to the All Star team last year. Oakland, who at the time was the top team in the league, had 6 players. Jack mentioned for two years in a row, the team has had record attendance at the annual Mariners Fan Fest. Jack took questions; among the most amusing came from Jim Gordon, who asked Jack what the proper pressure of a Major League Baseball was supposed to be (in reference to the recent “deflategate” debacle with the New England Patriots). He also thought they could improve upon center field and add one more starting pitcher (which he hopes they did with J.A. Happ). A question was asked about the departure of Michael Saunders. It was a matter of frequent injuries, and that he was ready for free agency in 2 years. A question was asked about the development of Taijuan Walker. Jack said he expects him to compete for the starting rotation this year. He also shared he is nicknamed “Skywalker” for his basketball playing ability. Jack briefly discussed the challenges of baseball talent evaluation, the business of baseball, and shared an inspiring story about Kyle Seager overcoming childhood heart issues and perseverance through surgeries to became a quiet, but hardworking leader. President Wendi gave the welcome. Neil Bretvick gave the invocation and lead in the pledge of allegiance. Jonathan Heras introduced visiting Rotarians (none this time) and guests. Wendi acknowledged those who helped make the Anniversary gathering a hit, and for his efforts to the club, recognized John DeWater as Rotarian of the Month. Nic Wldeman spoke about the upcoming 10k and handed out ballots for each table to vote upon a new name for the race. The winning name will be announced at a future meeting. Robin Callan introduced the BBRC Rotary Student of the Month, Fina Short. Her parents and teacher were in attendance. Fina is a student at Eastside Preparatory School in Kirkland, where she plays basketball and soccer. Fina has volunteered globally, including at a monkey rehabilitation facility, and has delivered soccer gear to children in Ghana. The club had a visit from Inspector Clouseau (AKA Sheldon Sweeney) who, with Carmela Ramaglia spoke about an upcoming fellowship event called “Dine Around”, where a member hosts a small dinner gathering at his or her home for fellow club members. Sign up sheets were placed on the tables. New member Tony Kasunic was awarded his blue badge. Sergeant at Arms Tim Leahy brought a list of Seattle/New England trivia questions to share, but decided no fines were to be levied this blue Friday! Did you know tickets to the first Super Bowl cost $6 to $12? Following the speaker program, Wendi acknowledged efforts by Sheldon Sweeney to connect Special Olympics to the upcoming 10k run.